August 17th, 2015 by Roy W. Spencer, Ph. D.
As part of a DOE grant we are testing climate models against satellite observations, particularly regarding the missing “hotspot” in the tropics, that is, the expected region of enhanced warming in the tropical mid- and upper troposphere as the surface warms. Since 1979 (the satellite period of record), it appears that warming in those upper layers has been almost non-existent, despite some surface warming and increases in low-level humidity. For years I have claimed that the missing hotspot could be evidence of neutral or even negative water vapor feedback, which would also help explain weaker than expected surface warming. Climate modelers are all but certain that water vapor feedback is positive. I have discussed elsewhere (e.g. here) how that might not be the case, even as lower atmospheric water vapor increases, and it’s related to how precipitation efficiency might change with warming leading to drying of the troposphere above the boundary layer. This is also part of Lindzen’s “Iris Effect”. While water vapor at the lowest altitudes over the ocean is strongly tied to surface temperature, free-tropospheric humidity is controlled by precipitation microphysics, and we have little information on how that changes with warming. So, I’ll get right to the subject of this post. We have analyzed 11 years of water vapor channel (183.3 GHz) data from the AMSU-B instrument on the NOAA-18 satellite, and compared it to the mid-tropospheric temperature data from AMSU channel 5 (the “MT” channel). Specifically, we computed monthly gridpoint anomalies in all channels over the 11 year period, and regressed the 183.3 GHz brightness temperature (Tb) anomalies against the channel 5 Tb anomalies. This should give information on how much the free troposphere moistens or dries when it changes temperature. Fig. 1. Gridpoint regression coefficients between the NOAA-18 AMSU-b 183.3 GHz channels Tb and AMSU-A channel 5 Tb during June 2005 through May 2015. Ch. 18 is 183.3+/-1 GHz, generally peaking in the upper troposphere; ch. 19 is 183.3+/-3 GHz peaking in the upper-mid troposphere, and ch. 20 is 183.3 +/-7 GHz peaking in the lower mid-troposphere. Yellow to red colors are where absolute humidity decreases with warming; green is humidity increasing to roughly maintain constant RH, and blue is where humidity increases even more than constant RH. The signal of El Nino/La Nina is clear over the Pacific Ocean, where the features represent a regional rearrangement of deep convection (upward motion) and subsidence (sinking motion) patterns. Fig. 2. Zonal averages of the patterns seen in Fig. 1 (left panel), and similar computations made from the GFDL ESM2M climate model (right panel). The vertical dashed lines in Fig. 2 are based upon computations made from the AFGL tropical and mid-latitude radiosonde profile data; values of about 0.2 correspond to constant relative humidity (RH) with warming, while values of ~1.2 correspond to constant specific humidity, q (no water vapor increase). Values over 1.2 would be water vapor (q) actually decreasing with warming, and potentially indicative of negative water vapor feedback. Note that in the tropical observations portion of the left panel in Fig. 2, all three 183.3 GHz channels (corresponding to different free-tropospheric layers) suggest decreasing water vapor with warming. (I don’t know how cirrus clouds might also be affected, but Lindzen has argued as part of his Iris Effect hypothesis that vapor and cirrus cloud cover should change together, and the 183.3 GHz data are affected somewhat by thick cirrus). The mid-latitudes seem to be mostly in the realm of positive water vapor feedback, although maybe not constant RH (which is what the models tend to do). It would take more work to determine just what these extratropical humidity channel changes really mean in terms of broadband infrared radiative feedback. Comparison of these same metrics to CMIP5 climate model data has been slow, since the necessary humidity and temperature profile data have been unavailable from the CMIP5 archive for months. Nevertheless, we were able to download data for two GFDL models (from the GFDL website), and I’m showing one of those in the right panel above, where we used a radiative transfer model to compute the same satellite microwave channels from the model temperature and humidity profiles. Note that in the tropics (say, 25N to 25S) the model tends to keep approximately constant RH when all those latitude bands are taken together. This is pretty typical behavior for climate models, which are tuned to act this way. The models don’t actually contain the necessary precipitation microphysics, something even their convective parameterizations can’t fix because we really don’t know how detrainment from convection changes with warming anyway. In other words, you can’t parameterize something that you don’t even understand and can’t measure. One curious clue from the above plots of models versus observations is how the three 183.3 GHz channel curves separate in the tropical observations, but not in the model. This would occur if convection detrains at higher altitudes with warming, with the mid-tropospheric humidity getting depressed even more as that very dry air descends from aloft, while mid-tropospheric detrainment and mixing from convection into the surrounding environmental air decreases. Presumably, the primary source of variability in the observations is El Nino/La Nina (ENSO), which many climate models do not mimic very well. But the GFDL model we chose to compare to in Fig. 2 also produces very strong ENSO activity, so we think this is a pretty valid comparison between a model and observations. This is all very preliminary, and we await the CMIP5 archive coming back online again late this month so that we can analyze more models. But if this discrepancy between models and observations holds across most or all models, we might have some important insight into how the models might not be accounting for increasing precipitation efficiency during warming, and in turn why the hotspot hasn’t developed… and why global warming in general is weaker than programmed into the climate models. The missing hot spot really does AGW theory in, because that is basic to the whole theory. At this late date to still have no definitive sign says to me it is never going to occur. Many facts should have finished the CAGW theory years ago, but strong faith in a factually conflicted theory by many can overcome reason if allowed to. I am reminded of a “film noir,” of many years ago. Could you explicate a little bit on what the “precipitation microphysics” are? Just list a few, that would be enough. In rainfall systems, the amount of condensed cloud water that falls out as rain involves processes occurring on a tiny scale…the scale of cloud droplets and ice crystals. This is called “precipitation microphysics”. Entire textbooks have been written addressing the forces involved…growth of ice crystals from vapor, the combining of cloud droplets to form rain drops, etc. The processes are complex and highly variable. But the humidity of the free-troposphere, and therefore most of the Earth’s greenhouse effect, is governed by these processes since the free-tropospheric air (even in clear regions and high pressure zones) originated in those precipitation systems. Yes, thanks, Roy- I now recall some of my readings from years back. An area of study, exceedingly complex, originating many years ago and apparently not very well resolved even today. So the answer is in the removal of the atmospheric humidity by the processes of condensation and precipitation, which processes have been acted upon in an indeterminate way, thus the evolution of the humidities of the mid to upper troposphere. “the free-tropospheric air (even in clear regions and high pressure zones) originated in those precipitation systems.” Truer words were never written. OK, so should I say “the processes are actually simple, but we don’t understand them well enough to put them in a climate model.”? Hmmm. No, the mistake is not understanding that some simply understood natural phenomenon, like tides, cannot modeled. Yet, Newton considered his theory of universal gravitation was validated by them even though he had no idea what the cause of gravity might be. A commonly observed fact is that a climate of a given location depends upon local factors just as a tide at a given locations depends upon local factors. I would say it this way, the Big Bang theory sounds pretty simple, but in it’s details it is not. But the Greenhouse Effect Theory which does not function as a greenhouse, and some trace gases cause the world to be 33 C warmer, begins off in hopelessly stupid manner. And does not get any better. I doubt that Einstein was saying that we ought to be able to provide simple explanations of the details of complex processes. I suspect he was more likely talking about fundamental ideas. Of course, from what I have heard about Einstein, he would not be impressed by arguments based on appeal to authority, even his. Exactly! Should we not get a firm handle on the fundamental ideas before progressing to details? Again, we can often grasp why a tide at one location is quite different from that of another nearby location, but the fact is we (people who predict future tides for tide tables), as I understand it, predict tides at a specific location on the basis of the historical data of tides at that location. When we know that we cannot come close to such predicable weather at a specific location on the basis of historical data at that location, why does anyone pretend that a ‘world’ climate can be modeled? –When we know that we cannot come close to such predicable weather at a specific location on the basis of historical data at that location, why does anyone pretend that a ‘world’ climate can be modeled? make money from idiots who imagine they can. That sums up Al Gore, who was very successful at finding enough idiots. In general I am interested in global climate rather then local weather because I am interested in space exploration- and global climate is related to terraforming and habitable zones in solar system [and there current “climate”]. I think idea of making Venus and Mars habitable planets is an interesting puzzle. One could have human civilization on Venus and Mars without terraforming them, but it’s sort of like space elevators, harvesting solar energy from Space, and/or traveling to a different star- economically impossible at the moment though could be practical in the future. As for terraforming Mars, it seems the first practical effort would related to reducing dust levels- do things to prevent the global dust storms. And as far as I know, most ideas of terraforming mars to make it warmer- wouldn’t work. Economically there are impossible, and impractical to think about, but even if this wasn’t the case, if it could be done they wouldn’t do what people expect they would do- because the greenhouse effect theory is wrong. Einstein’s thought experiments offered reasonably simple explanations for time and gravity, but when it came to describe the processes mathematically, somehow all that simplicity seemed to disappear. One thing I’ve learned over many decades is that you inevitably make a fool of yourself if you attempt to apply broad philosophical principles to scientific practicalities. Do precipitation microphysics potentially have a relationship to Svensmark’s research on cosmic rays and changes to the atmosphere with cosmic ray flux? Decreasing relative humidity sounds to me like the cloud albedo feedback is positive. …except that boundary layer humidity has been increasing, and low clouds are the biggest potential source of cloud feedback. What determined your choice of 2005 as a cutoff date? 2005 is the beginning of the NOAA-18 satellite data, which has the longest period of AMSU-B data without obvious spurious trend issues in any of the channels, plus it covers the 2009-2010 El Nino event. I would go a step further and say they ARE certain. That is their “belief system”, and you could not get them to change, even using “water boarding” torture! I would say they are very certain of something which is impossible. Or is plausible if you ignore time. Or if you have warmer oceans one can get an increase in water vapor, but it’s not causal, rather it’s the effect of the warmer oceans. Exactly. It’s as if they’ve never heard of the “water cycle”. A minor typo … ‘we little information” should read “we have little information”. It seems to me that the effect of cloud formation is not just on albedo, but the condensation of vapor into droplets should also decrease the surrounding vapor pressure of water and thus its IR absorption. Very exciting work. I’ve been reading dozens of climate papers lately trying to understand certain aspects of models. I’ve also read some of the cloud parametrization work. It seems to me that this work would allow for re-parametrization of climate cloud models. They break down to something very simple in the final equations, would you agree that it might be doable? yes, they can always parameterize the net effect of some complex process…if they know what the net effect is. Oops…I used the C-word again…. This causes some font rendering problems on some browsers. Simple. Complex. I say “COOL”. It is really nice to see tests of model fundamentals against observational data. A question: Isn’t the “hot spot” due to the negative lapse rate feedback, since that it what causes T to increase by different amounts at different altitudes? Without the lapse rate feedback, wouldn’t the water vapor result in an altitude independent T increase? The models give water vapor feedback results over a fairly wide range and lapse rate feedback results covering about a factor of four (e.g., AR5 Fig. 9.43 and Table 9.5). But the sum is quite consistent between models since models with a large water vapor feedback have a very negative lapse rate feedback and ones with small water vapor feedback have near zero lapse rate feedback. So it sounds like the results are saying that the models closest to the truth are the ones with both feedbacks small. That would be a fascinating result to see. But in the end, the real test is the combined lapse rate and water vapor feedback. Positive water vapor feedback is, on average, 2x the negative lapse rate feedback in the CMIP5 models. They are pretty strongly negatively correlated in the models…but water vapor FB is only reduced 50% by the lapse rate FB. Modelers do indeed like to talk about their net effect. Someone was asking why the equatorial El Nino region did not reflect a maxima in the MSU data to match the maxima in the SSTs. After reflecting for a while, it occurs to me that the ITCZ is still far north, currently. So even though the ENSO waters are anomalously warm, the lack of deep convection means there is no way to transmit that anomalous warmth to the LT or MT levels. Convection over the southern portion of the El Nino signature waters maximizes in April, so I would expect the MSU signals to maximize then as well. Why does higher temperature cause increase IR? than 1 atmosphere, would one need higher temperatures? Everything emits IR, and as temperature rises the intensity of IR emission rises. It does depend on air density since the more air present, the greater the IR absorption/emission. I tend to think 2 atm earth would be cooler, but that is mot really related to what asking about, instead it about this hot spot in tropics. Or it seems one could have 2 atm world which cooler and have it have this hot spot warmer. Or in comparison to rest of atmosphere the hot spot would be in comparison warmer. In general I would say everything emits if it absorbs, and gases don’t adsorb much radiant energy. Or an atmosphere holds a lot energy in terms of kinetic energy, but in a given day or hour the atmosphere does not absorb and radiate much much radiant energy. Obviously all radiant energy of sun passes thru it and one say could all the radiant energy is altered in some way. Or why 2 atm would cooler than 1 atm atmosphere is less sunlight would reach the surface where it can be absorbed. Now if one has twice the atm, roughly one will have twice the kinetic energy of the atmosphere- this would even be true were the average temperature was 50 K cooler. But I would think that twice atmosphere would be in range of 10 K cooler- though one might not have a polar ice caps [maybe] and therefore one might think that is a warmer world- or it’s got more GHE. And the 2 atmosphere would reflect more sunlight. Or instead of about 400 of the 1360 watts, it could be say 500 watt- so about .37 rather than about .3. So, if atmosphere reflected more sunlight, most people could assume Earth would be cooler. And if cooler one could think that less radiant energy is emitted by the atmosphere despite the atmosphere having twice the total kinetic energy. The main reason I think a 2 atm world would be cooler, is because I think the tropics would be cooler. But do have significant amount of uncertainty about this assumption. And this hot spot a factor, though I don’t think it’s a big factor. Now another factor, is I would say the least amount of sunlight is reflected by the atmosphere in the tropics- that factor makes doubling the atm less significant in the tropics. Or conversely most of sunlight reflected by the atmosphere occurs outside the tropics. There is no doubt that harvest solar energy would be far worse in a 2 atm world, as it would be far better in 1/2 atm world. So in terms of reflected light and the tropics, clouds have larger effect, or if somehow a 2 atm could cause less clouds in the tropic, the net result could less sunlight reflected at the tropics. And more atmosphere gives more power for heat transport via atmosphere from the tropics. And with more atmosphere the tropics can hold more cm of water in column of air- which points to the tendency to have less clouds in the tropics. Anyways, clear skies in tropics with 2 atm compared to clear skies with 1 atm, will result in less solar power one can harvest in the tropics [and make the rest of world far worse]. So in tropics direct sunlight will diminish and ratio of indirect sunlight increase, and total amount decrease. Of course even if more heat from the transported from tropics, the movement could be slower. And the speed could effect cloud formation in tropic. Anyways, there also the bit about the hot spot. But what really matters for water vapor feedback is the net effect of these patterns…how they average together. The vertical averaging is critically important because for the greenhouse effect, a change in the amount of a greenhouse gas, especially water vapor, in the upper troposphere is much more important than a change near the surface. The following image is a bar chart showing how a change in water vapor by atmospheric pressure layer changes the outgoing longwave radiation, using a line-by-line radiative code program. The chart shows that a water vapor change in the 500-300 mb layer has 29 times the effect on OLR than the same change in the 1013-850 mb near-surface layer. A water vapor change in the 300-200 mb layer has 81 times the effect on OLR than the same change in the 1013-850 mb near-surface layer. Therefore, as small reduction in upper atmosphere water vapor overwhelms an increase in the lower troposphere. Dr. Spencer’s results shows a reduction in mid to upper troposphere water vapor with warming in the all-important tropics, causing a negative water vapor feedback. Where’s this been published? I’d like to read the paper…. I meant this new evidence — has it been published yet? Yes, because peer review hasn’t been tampered with as well. 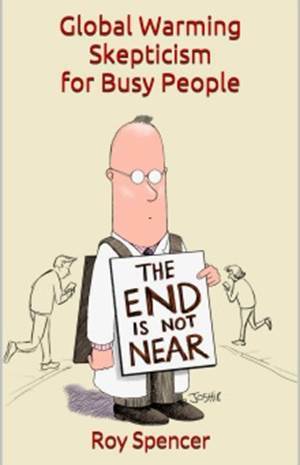 Nothing but a convenient excuse for those whose work isn’t publishable…. Your peer review shield ain’t gonna save the faithful from the truth any longer, David. This should be no surprise. Precipitation efficiency generally must go up with increased evaporation since in the aggregate there has to be an equal amount of water coming out of the atmosphere as is going in over fairly short time periods. Precipitation emanates from clouds, which on global average reflect significantly more solar energy back to space than is delayed beneath them (about 20 W/m^2 more is reflected than delayed). The so-called water vapor feedback doesn’t operate in isolation, but is intertwined with the effects of clouds. OK, I guess precipitation efficiency isn’t the right word use. The point is if aggregate evaporation increases, aggregate precipitation must increase as well. Precipitation emanates ultimately from clouds. More precipitation means more cloud cover, which means more solar energy reflected, which should dampen the effect of any induced warming. It’s not valid physically or logically to arbitrarily separate the effects clouds and precipitation have in maintaining the planet’s energy balance from the forcing of the Sun, from the effects they will have on incremental warming. This is the assumption made by mainstream climate science and accepted by many skeptics that isn’t valid and makes no sense. The Earth climate is a highly dynamic, chaotic, and mostly already physically manifested equilibrium system — not a static equilibrium system, from which a change in the energy balance is unknown or a big mystery. Yet this is the way the whole net feedback question is posed or assumed to be. The global warmers dismiss that stumbling block by claiming that clouds, overall, are a positive feedback. 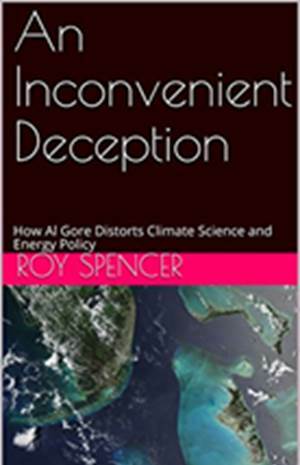 There have been papers published purporting to show this, but Dr. Roy has debunked those in his own studies. There is a story here that should not be forgot, involving Trenberth and the editor of the journal that published one of Roy’s papers. It is a disgusting story of alarmist militancy and foul spite. I have degrees in Physics and Mathematics, and run a small measurement laboratory. I know a little something about measuring stuff. I dont know that much about atmospheric science though. In all the readings I have done on Climate papers – going back to Hansen 1981 – (where he doesnt demonstrate jack-squat) I keep reading that people use the same solar irradiance (something like 170 W/m^2) …and I cant figure out why. Since the sun produces a blackbody curve – you can have the same irradiance if the curve is 6000K color temperature or 1000K CCT. BUT with regard to spectral irradiance – its MASSIVELY different. The blackbody curves would look EXTREMELY different at all wavelengths – I only ever found 1 paper that “sort of” described differences in the UV spectrum from the sun with regard to irradiance, and it didnt seem to understand why that happened- just said “nearly all changes to irradiance occured in the UV region” – yeah no crap – thats what happens when the Color temperature lowers. The overall irradiance didnt need to change that much though just shift which wavelengths it saw. Given that CO2 has such a small spectral absorption bandwidth to begin with- how come no one seems to have studied the differences in SPECTRAL irradiance from the sun. If the actual irradiance in the IR region changes with activity – then it could dramatically change how much actual irradiance the atmosphere could observe. If the sun simply shifts color temperature it could have the same irradiance – but the amount water vapor and CO2 experiences – would change. Im sure there is a simple explanation as to why I cant find info on that – and I never seem to get a response from “climate alarmists” when I ask them. This is the sort of thing they do not want to discuss because it leads to a complete “bust” of their IPCC CO2/AGW/GHE nonsense. Maybe you need to ask a clear question. But I’m only guessing, in which case I might be unintentionally offending you. Maybe I am not being clear enough. The irriadiance of the sun at the plane of the earth. It is said that the there is only minor fluctuations in the total solar irradiance. The color temperature of the sun is approximately 5780K on a clear day. Is this also considered a constant? with no fluctuations at all? *IF* the color temperature changes – it can change the irradiance at specific wavelengths – without changing the total solar irradiance. Thus a measurement that ONLY measures Total solar irradiance – (like this http://acrim.com/TSI%20Monitoring.htm) would see only minor differences what so ever. BUT atmospheric gases would not experience the same irradiance with in its specific absorption spectrum. So my question is – Has there been a research or study done comparing fluctuations in SPECTRAL irradiance (based on variations in the color temperature of the sun) to temperatures. Of course. Astronomers have been doing that for maybe 150 years. I am afraid I still don’t see your point. There has been apparently wider fluctuation of UV. And what you talking about is suppose to related to sunspot activity. Roughly, I would say it has not been studied enough, though I can’t say I have looked at the topic much. Of course, many have. Google harder. The hot spot is absent for a simple reason. The anchor point for the lapse rate is at the equivalent emissions height which coincides with the location where people are searching for the “hot spot.” They are looking for variability where conditions are essentially fixed. I believe there are a few different descriptions of mechanics that would lead to this type of result. The one I like is from Dr. William Gray. It describes negative feedback from clouds and convection overshoot. Seems to match Roy’s data nicely. It would be nice to see seasonal data as well. While I would generally expect a N-S shifting of the curves, there might be some interesting variation due to the land-ocean influences. “Author’s Background. 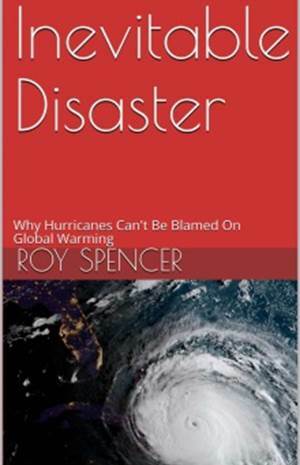 The author holds an MS (meteorology) and Ph.D. (geophysical sciences) from the University of Chicago. He has been a weather-climate forecaster, researcher, and university graduate school professor for 60 years. He has supervised 50 MS and 20 Ph.D. students. He originated and has been involved with Atlantic basin seasonal hurricane forecasting for the last 31 years. Once again we see that the earth’s atmospheric processes respond with homeostasis in response to changes,i.e., increase in surface temperature. Are you eventually looking at publishing a paper on this? yes, we’d like to, but we need to compare to many more CMIP5 models, and the model archive at PCMDI has been offline for many weeks now. Supposed to be back online in about a week, but I’m not holding my breath. The KNMI Climate Explorer doesn’t have the required vertical profile data of temperature and humidity. UPDATE: We’ve been told the model archive is down due to a hacking event. The model data archive is fine, but the tools to access the data were fried. Doesn’t sound hopeful to me. Then publish what you do have. Let the modelers publish their own results. I don’t think you ought to be blogging this until it’s appeared in a good peer reviewed journal. (Same with your version 6.) Science isn’t done on blogs…. Karl et al didn’t announce their data revisions until they appeared in Science…. I seriously doubt that anyone much cares what you think. Dr. Spencer is clearly moving science forward. Your worship of ancient ritual, corrupt as it is, isn’t doing anything for science. A natural consequence of adding more latent energy to the lower troposphere? One other aspect to consider. The MSU era begins around 1979. At least for this region, one would not expect a ‘Hot Spot’ not because of precipitation parameterization, but rather because the surface is not anomalously warm to support a ‘Hot Spot’. Very interesting post. It will be even more interesting to see what happens when the CMIP 5 model data becomes available. I have one small suggestion. On your figure 2 graphic, the y-axis is in degrees of latitude. A more accurate representation of the total surface area would be the y axis being the sine of the latitude, rather than the latitude. This would make the graph accurately represent the contribution of each latitudinal region, and would further clarify the contribution of the tropics toward the total. The per degree surface area at 60° latitude is only half of the area per degree near the equator. In fact, the contribution of the equatorial region will be dominant when the total area is taken into account. I do hope that you have an opportunity to update this post when the CMIP 5 data becomes available. The non-hetero-polar gases oxygen and nitrogen, which make up the bulk, of our atmosphere do NOT emit or absorb IR in the region 1-30 microns. See ‘Heat Transmission by Radiation from Gases’ by Robert E Egbert, Doctoral Dissertation at MIT, 1941, pp. 5-6. Nitrogen absorbs and emits between 4 and 5 microns and oxygen between 6 and 7 microns. Yes, you are right, but they are very very less active than CO2 or H2O. If you plot N2 and O2 with CO2 and H2O the first twos absorbers are practically invisible, because their line intensities are about 10^10 times smaller than the second twos. We have just both agreed that they do? evidently I was not clear. IMHO Dave is formally wrong, but practically right. And since climatology is thought as an holistic science, I think Dave assertion should be accepted. For example potatoes are slightly radioactive, so formally you can say they are radioactive indeed, but practically nobody consider potatoes as radioactive pollutant. Anyways (this for Doug), in this case I don’t enter the discussion whether the radiation is so much determinant for the surface temperature or not. My point was just a consideration meant to itself. The following lik provides further evidence that CAGW is man-made even if completely imaginary. Then his contradiction is strictly correct, because homonuclear diatomics do not have an allowed vibration-rotation transition. The infinitesimal amounts of IR they do emit arise from extraordinarily rare ELECTRONIC transitions, and are not related to temperature. The whole of the nitrogen and oxygen in the atmosphere above the United States, is about the same, in radiating terms, as a one-bar electric fire. with assumption it’s not,I will attempt to go over it. You think it’s based upon Second Law of Thermodynamics, though it seems to me, it seems to be based upon some perversion of the Greenhouse Effect theory. Sort of inverted in sense that rather than warm, the major greenhouse gas, H20 is doing a lot of cooling. In addition it seems to have some perverted Slayer stuff. Or it seems you think that with more atmosphere mass it increases temperature. Plus the unique madness of solar energy heating the interior [over 6000 degrees] but that seems to me too be a bit irrelevant. So it appears according to your hypothesis that for instance if Earth had twice the mass of it’s atmosphere this would cause a higher average temperature. And likewise if atmosphere were 4 times greater mass it would even warmer. Earth atmosphere has mass of 5.1 x 10^18 kg. So if instead it was 10.2 x 10^18 kg, it be warmer, and were it 20.4 x 10^18 kg, it would have even higher average temperature. And if it had 1/2 1 atm of mass, it would be cooler? Assuming the air was dry. I am assuming twice or 1/2 atmosphere could hold more and less water vapor? There few ways this would be the case, simply a warmer atmosphere if there was ocean or bodies of water, hold more water. And if you thought 1/2 atmosphere would be cooler, the cooler air could hold less water. Plus the shallower atmosphere of 1/2 atm would also hold less water vapor, and the higher atmosphere of 2 atm could hold more water vapor. But to keep it simple, if dry then and more atmosphere, it’s warmer, and less atmosphere is cooler. So would twice Earth atmosphere if it were dry it would be warmer, and if so how much. And if with Earth with it’s ocean [and so wasn’t dry] and had twice the atmosphere mass, what does your hypothesis indicate the average temperature would be? I don’t know if Greenhouse Effect theory would provide an answer. It might be confusing because if double the atmosphere, one could have have same ppm of all the gases, but would double the total quantities of them. But I suppose the whole idea of your hypothesis is to be better- and easier to use get consistently the right answers. Double atmosphere but it’s atmosphere without water. And double earth atmosphere with it water vapor. What average temps for both these circumstances? And I think it would be somewhat remarkable is if someone reading our hypothesis and using it would able give a similar answer that you arrive at. Or seems there is a problem with greenhouse effect theory is everyone gives different answers, which adds support to the idea that it’s pseudo science. The tropics (between 20N &. 20S) is more than one third of the planetary surface (34.2%). Incoming shortwave radiation flux at ToA (Top of Atmosphere) is also much higher than average. If NOAA surface temperature dataset is compared to UAH 6.0 beta lower troposphere temperatures in this region, it is clear that bulk troposphere rate of warming in the 36 years and 8 months since December 1978 is considerably lower than that of the surface. The effect is much more pronounced over oceans than over land. Over land the lapse rate is unchanged, but over oceans it is increasing with time. In drier air the lapse rate is higher. On the other hand, with increasing surface temperatures the boundary layer is getting more humid. The only possible solution is that precipitation is indeed getting more efficient, especially over oceans in producing more dry air in the upper troposphere. That’s a strong negative feedback in two ways. While vertical distribution of water vapor is getting more uneven, its contribution to the greenhouse effect is decreasing. At the same time low level clouds are getting more abundant relative to high level ones, which increases albedo but does not hamper outgoing longwave thermal IR radiation. The fact this effect is stronger over oceans than over land shows it is a water vapor feedback and not something else, because the only thing more abundant in oceans than on land is water. Computer programs can be designed to prove almost anything — even that white is really the absence of black. It snowed in Calgary, Alberta Canada yesterday, August 21, 2013.
here in Italy (despite the hot July just passed), we got snow above 2700m on the Alps this week. I wrote the above because the TV news trumpeted it as an another proof of the “climate change”, of course. That also originally came from a Hollywood movie of the 1930s. How far does the snow line typically fall in the Italian Alps in July? @Massimi…”here in Italy (despite the hot July just passed), we got snow above 2700m on the Alps this week”. Good to hear from you in Italy, Massimo. Calgary is on the western edge if the Canadian prairies, as the prairies transition into the Rocky Mountain foothills. It’s elevation is about 4000 feet and it’s about 100 miles west of the Rockies. It is uncommon for Calgary to have snow in August although some people claim the province it is in, Alberta, is good for snow every month. Another saying out that way is: “if you don’t like the weather, wait 10 minutes and it will change”. Calgary is known for chinooks in winter, which is a sudden warming from below zero temps to above zero temps. I recall one day on the main north-south road, the McLeod Trail, that it was about -15C on the west side of the Trail and about +5C on the other side. You could see a distinct weather pattern over the city right down McLeod Trail. “It’s elevation is about 4000 feet and it’s about 100 miles west of the Rockies”. Brain cramp. Calgary is about 100 miles EAST of the Rockies. That cost me on an engineering exam once. I mixed up east and west in a question. On another exam, in second year differential equation theory, I ran through a 3 page Bessel function calculation and got the Bessel stuff ok. Then on the second last statement I mentally subtracted something like 74 – 35 and got it wrong. I think my worst gaffe was mixing up a cosine wave with a sine wave. That was particularly galling since I have worked with sine waves all my life and can see them in my sleep. AT last, some real science on the water vapour feedback issue. This is similar to what I found by stacking temperature changes around six major volcanic eruptions and looking at cumulative integral of temperature ( degree.days for farmers ). I found that tropics were very insensitive to the effect of volcanoes and recovered the initial deficit after about six years. Note, this does not mean they just got back to the pre-eruption temperature but actually warmed beyond that to recover the lost energy represented by the integral of temperature. No matter how much merit your ideas have, thread bombing trashes up the site, makes you look like a crank and the rest of look bad by association. Please don’t do it. I agree; this is the worst yet. D*VG C*++*N: Your desire to assuage your ego precludes you from being able to consider academic queries of your theories. There is much merit to some parts of your theories, but it’s not all about you. Truth is truth only if it holds up under rigorous inspection and challenge. Rather than resort to shameless plugs of your book and web site, simply address the immediate topic of discussion without vectoring off into tangential areas. Doug – “Take a look at an energy diagram like this showing mean solar radiation of 168W/m^2.. Incorrect, the diagram shows as I wrote 235 W/m^2 being deposited by sunlight. Yes. That is what it does show at surface Doug, Te=288K. See the TOA, 235W/m^2 for Te=255K IR sun. Do the math. Not that hard. Issue your badly needed corrigenda immediately Doug, wary readers will avoid your video until then. Your last correction seems to make even less sense! You seem to support Ball4’s appraisal of your statement. If the sun imparts no thermal energy to the surface via direct solar radiation impinging the surface, how then can a magnifying glass or concave mirror heat an object by concentrating visible spectrum solar radiation on any given surface? Please explain your statement clearly and think your answer through so far you appear confused. Please clarify before any discussion of your paper. Thank you for responding. If you seriously claim that direct solar radiation impinging the Earth’s surface transfers no thermal energy to or as you say into the surface then how can a magnifying glass or concave mirror heat a surface by concentrating sunlight on any given surface. Or how did Sir William Herschel discover infrared energy using a prism and observing that the SOLAR radiation passing through the prism below the visible spectrum WARMED the surface of an object? When your posts did not make it did you correctly type Doug’s name in your posts? I did this and neither of my posts went through. Doug gets them through by putting spaces between the letters. I think there is a blocking program for the correct combination of letters. It’s good to communicate with you again. Thanks for the heads up it often seems difficult merely to leave a post around here. Question. Why do you believe your view of the atmospheric temperature anchor point is the correct view? It is backward from normal view so why is your view the right one? You are assuming (not testing or verifying). This article for pilots has actual proof you do not know what you are talking about. Read the article about lapse rate and you see that the surface sets the lapse rate and not the other way around. You believe that the top of the troposphere sets the surface temperature. Why do you believe this? Why does the upper troposphere have a given temperature? This is why you believe the wet lapse rate is cooling when actually it is warming. You should consider studying some meteorology since you have things so backward. The surface sets the lapse rate and the cause of the lapse rate is expanding air as it rises losing energy because the molecules do work in pushing the surrounding air and cool. It DALR is equal to the gravity because gravity sets the hydrostatic pressure and it is the pressure difference that determines the rate of expansion and the energy lost in the expansion. The reason temperature drops near dawn is because it is reaching the dew point and at this point the water vapor in the air condenses releasing latent heat into the environment slowing the temperature drop. What evidence do you have, such as an experiment or proof that the 160 watt/m^2 solar energy will not be absorbed by the Earth’s surface. I need more than a mathematical theory, what test do you have to confirm the action of radiation and that it will just “bounce off…pseudo scatter…at the surface”? You can make these statements but what proof do you have for them? Ball4 seems to have incredible patience. A trait to be admired in this hostile hurry world. You directly call him a liar and he just responds with factual posts you made at some point. Anyway he is trying to help educate you. I will also try with an different tactic. You do not understand radiation physics and many have tried to explain it to you, all attempts have failed so I will try a new approach. You have this tank that can hold 10,000 gallons of water. At the start it is filled with 5000 gallons. Here are some following cases. If you add 100 gallons/minute (GPM) how fast will the tank fill up? Maybe you would claim 50 minutes? This would be correct if no water was leaving. What if you have a drain valve open at the bottom of the tank, now how fast will the tank fill up? Would it not depend on how fast the drain valve was opened? So if you have 100 GPM going in or another case of 10 GPM going in which will fill the tank the fastest? It would depend on the drain valve. If the drain valve was open to allow 100 GPM to drain in the first case but closed with the 10 GPM flow, the 10 GPM flow would fill the tank. I think many people do not understand the concept Ball4 is claiming about NET RADIATION! They only look at how much energy is going into a surface and ignore how much is leaving. With the Stefan-Boltzmann law to determine how warm a surface will get in a constant radiation flux. You use this equation backwards as I had done on another thread, and reach a wrong conclusion. The temperature of a black-body in a 1300 watt/m^2 radiation flux reaches 120 C because a surface at that temp will radiate 1300 watt/m^2. But it will not determine the surface temperature if the outgoing radiation is redirected to the surface. The temperature of the surface will rise to the point that 1300 watt/m^2 can leave the system which can be above 120 C.
Here is a great video to demonstrate to you how you do not understand the Second Law of thermodynamics at all. How hot do you think the surface of the mirror is? The man is touching the body of the mirror numerous times. Yet this cool mirror is boiling water or starting a fire. How can this be? How can this much colder mirror heat water to boiling? If you visit this thread again, somewhere way up you responded to one of my posts with the faint sun hypothesis. It has created a conflict as to why the world was not an ice-ball planet back then. Here is a paper with a possible explanation. Yes indeed. It is “about absorbed [stored] energy” as you say. You’ll find my hypothesis is about energy that has been trapped (by gravity) “under” the sloping thermal plane over the life of the planet. And, because you now admit that fact, you are agreeing that the solar radiation is having no effect in typical early morning and late afternoon situations I described. Unfortunately for the GH advocates, it has to be having an effect, for otherwise their mean solar radiation (and their assumed temperature supposedly caused by that radiation) is invalidated, because the calculation of their mean includes all these situations and locations (probably more than 80% of the sunlit hemisphere) where they should not be counting the solar radiation because it’s not having any warming effect. By the time you have spent three or four hours really studying the two papers linked from the ‘Evidence‘ page the penny will drop (if I can assume you are an intelligent person with a grasp of physics) and you will realize that all the pieces of the jigsaw fit together. Radiation can’t explain it: gravity can and does – throughout the Solar System. Just remember, 168W/m^2 of direct solar radiation can’t explain a mean surface temperature above -40°C. You can’t turn around then and say we should add the radiation from the atmosphere. All the radiation in all directions between the surface and the atmosphere is only cooling the surface and causing a transfer of thermal energy out of the surface. You can’t add just the downward radiation and say its value can be included in Stefan Boltzmann calculations. But even if you do (incorrectly) do that, so that even if you think you can use (168+324)W/m^2 in S-B calculations, the mean temperature that a uniform flux (24 hours a day) of 492W/m^2 striking a flat Earth (without an atmosphere) would produce is 32°C. But we don’t have that kind of Earth, and when the mean is really made up of quite variable flux (sometimes up to 1,000W/m^2) and that variable flux has a mean of 492W/m^2, then I’m afraid to have to tell you that the mean temperature achieved would be below 0°C. And it gets worse, because at the top of Mt Everest, even though we know why, the solar radiation of around 1,000W/m^2 on a clear summer day does not achieve anything like the calculated value of 91°C. So everywhere that we think S-B is explaining the temperature it is doing no such thing because the Earth is not only not flat, but it’s also rotating and the Sun doesn’t have enough time in the day to achieve S-B temperatures. So much of the day’s solar radiation is not used to raise the maximum temperature, but to make the nights less cold. And remember, you really shouldn’t have added the back radiation anyway. It is correct that out in the wider atmosphere there is always a height change associated with horizontal movement and so there is always a temperature change. However if there is no height change there is no temperature change if expansion occurs into a region of lower pressure at the same height. That is what the well known experiment shows you. It is that essential difference that demonstrates that the temperature change is due to work against gravity and not work against surrounding molecules when upward convection pushes into a region of lower pressure above. Getting back to the subject of the thread: Roy, it seems like your data pretty directly conflict with other data such as Soden et al. (http://www.sciencemag.org/content/310/5749/841.abstract) and Dessler & co. (as summarized here: http://www.sciencemag.org/content/323/5917/1020.summary) that do clearly see the radiative signatures for moistening of the upper troposphere with increasing temperatures, especially robust for temperature fluctuations such as those due to ENSO (the long term secular trends being more susceptible to artifacts). Can you reconcile them? Getting back to the subject of the thread: Roy, it seems like your data pretty directly conflict with other data such as Soden et al. (http://www.sciencemag.org/content/310/5749/841.abstract) and D*ssler & co. (as summarized here: http://www.sciencemag.org/content/323/5917/1020.summary) that do clearly see the radiative signatures for moistening of the upper troposphere with increasing temperatures, especially robust for temperature fluctuations such as those due to ENSO (the long term secular trends being more susceptible to artifacts). Can you reconcile them? If one allows higher pressure air to flow adiabatically into a lower pressure region within a gravitational field whilst preventing any net vertical displacement then half the molecules will move upward and become less dense whilst half move downward and become more dense. The net change in density and temperature being zero because no net work is then being done in relation to gravity. Nor is there any work being done against molecules in the lower pressure region otherwise there would be a temperature change from that but we observe none.In order for work to be done against surrounding molecules the receiving region must be at the same or higher pressure than the donor region. The free expansion illustration excludes any net work done against gravity because potential energy for an ideal gas is set at zero. As soon as net work is done in relation to gravity then the number for potential energy becomes non zero and the temperature can then change along with volume and pressure. The earth is an open or at least a closed system, not an isolated system. Gravitation can not explain why the stationary surface temperature is higher than the effective radiation temperature.